Info: All the Thomas Cole paintings are displayed at the Washington Smithsonian museum. ”Nightfall” is the ”Old age” painting. The others are ”Birth”, ”Youth” and ”Manhood”. “NIGHTFALL” is a classic album, but it was close it never say the light of day. 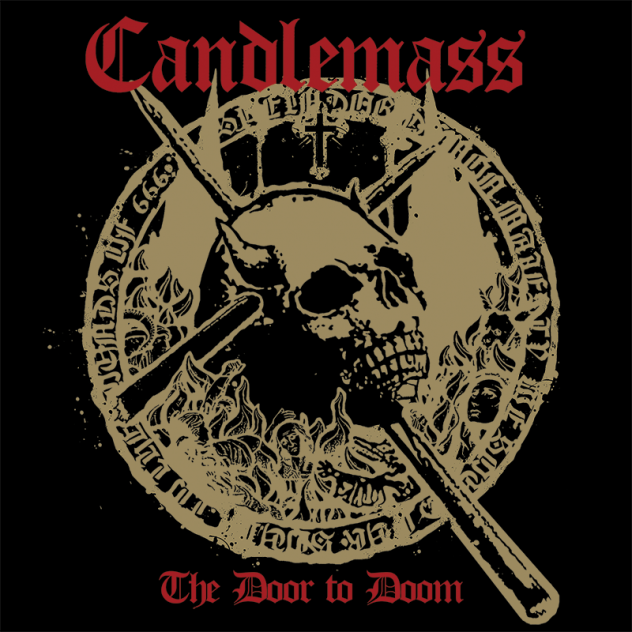 If it wasn’t for a certain cabdriver in London the story of Candlemass would have been very short. 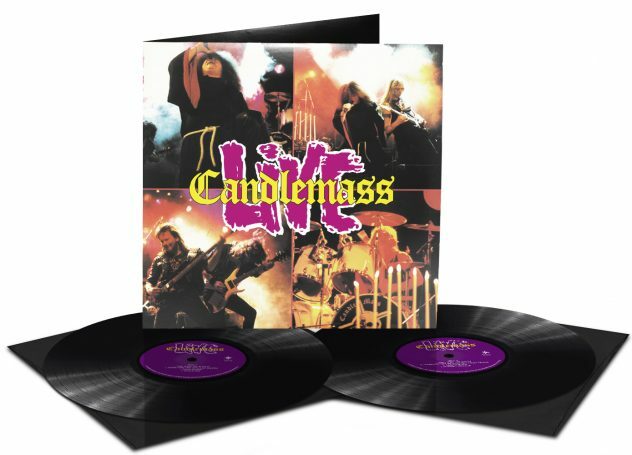 Luckily enough he liked what he heard from the “Bewitched” demo (recorded in march 1987) and David Constable dared to sign Candlemass as the first band on the new London-label Axis. Mats Ekström had left the band as he was unable to rehearse as much as the others wanted due to a nightshift-job and Jan Lind was brought in. Coming from a remote town in the very north of sweden his audition was to record the “Bewitched” demo featuring “Bewitched” and the unreleased “Battlecry” in Thunderload. The second new recruit was Lars Johansson from Boden. He joined the band in the summer of 1987 just prior to a short tour with King Diamond. He fell over a fence and broke his arm only a few days before the tour and guitarist Mike Wead was hastily brought in to replace Lars (Mike Wead actually moved down with Jan and auditioned before the band decided to go with Lars Johansson. Mikes contributions can be heard on the record; “Black Candles” is his song and various soloing and harmonics). The last addition to the band is man/mountain Messiah Marcolin (passport said Jan, Bror, Alfredo but was changed to Messiah later). He phoned Leif up in the middle of the night and sang “Solitude” a’capella while his mother was holding the phone. Messiah was so sure of becoming the new singer of Candlemass that he permanently moved to Upplands Väsby even before getting the job. But of course he got it. The band ploughed through the “Epicus..” songs and Messiah sang them without missing a note. He also became the focal point of Candlemass. The one people remembered, the guy in the munk outfit that totally wrecked every stage that came in his way. He was the one who suggested the use of the Thomas Cole-paintings “The Voyage of Life” as album covers. 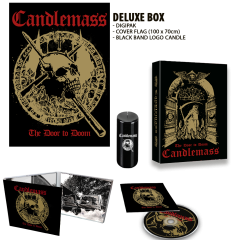 For a small fee of $250 Candlemass got the right to use all four of these beautiful works of art. The idea to record Chopins funeral march “Marche Funebre” also came from Messiah. 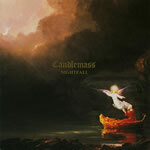 It became the famous intro to uncountable Candlemass live-shows and a nice studioversion on “Nightfall”. Messiah even played an important role in naming the album. Leif first wanted to call it “Gothic Stone” but Messiah didn’t like the ring of it so “Nightfall” it was. The reason behind that was probably to be able to use the fantastic Thomas Cole-painting “Old age” as the cover for “Nightfall”. Again Candlemass recorded in Thunderload. Again with Ragne Wahlquist and aiming for the heaviest possible production. With the extreme quality of the songs, they needed a sound extraordinaire. It started out really well, “Bewitched” was put on tape, “Well of Souls” (the name taken from the Egypt part of the first Indiana Jones movie), “Dark are the Veils of Death”, “Mourners Lament” a song which had a totally different chorus at first) and all the others. “At the Gallows End” was the only song that caused any problems when the chorus didn’t work. It was actually recorded with Messiah singing about 3000 words more than necessary in that verse, sounding like early rap. But how good the material was, the mix in Thunderload didn’t make it justice. That important part was instead taken care of Mats Lindfors, a young production genious on he way up. He realized that “Nightfall” demanded a more modern metal sound. The album was given its final touch during ten days of intense work. Skillfully crafted by Mats Lindfors in the Stockholm Recording Studio. 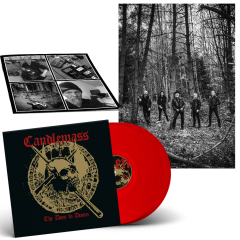 – “Samarithan” is one of my alltime favourite Candlemass tracks, and it nearly didn’t make it on to tape. Mats Ekström thought it sucked big time when it was rehearsed before the recording of “Epicus” and it was scrapped, but luckily enough the new band loved the song. Leif smiles when he thinks about those special days and weeks in 1987. And why not. “Nightfall” is still today counted as a classic album at the very top of many millenium lists.